hm maybe you actually mean to analyse these two cases? For the left cube, test should return True, for the right (no faces) False? verts and edges are NOT faces, polygons are (triangles, quads and ngons). really dunno what you mean, a polygon is a face and vice versa. What's your definition of face? A triangle? A quad? Both of them, so everything which isn't an Ngon? well, if you append/link an object from another .blend, it won't look at the scene settings (=metrics). It's arguable if it should respect the metric settings of another .blend. Topic: File type to use for games? 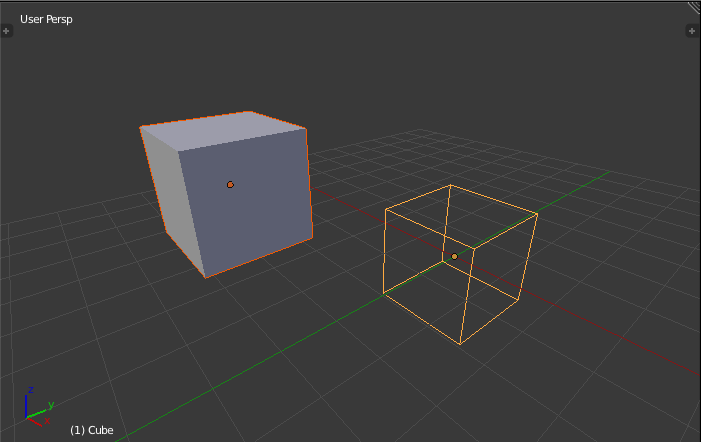 You could also try FBX, specs are available on the net. It's often used for content IO, but available libraries may not be open source. maybe subdivide the face area and use a displacement modifier to get more details into it? Or edge split individually and give it more detail manually.